Poster appealing for funds to help Belgian refugees. The German invasion of Belgium in 1914 prompted Britain’s entry into the war and sent thousands of displaced people over the sea to seek refuge in Britain. 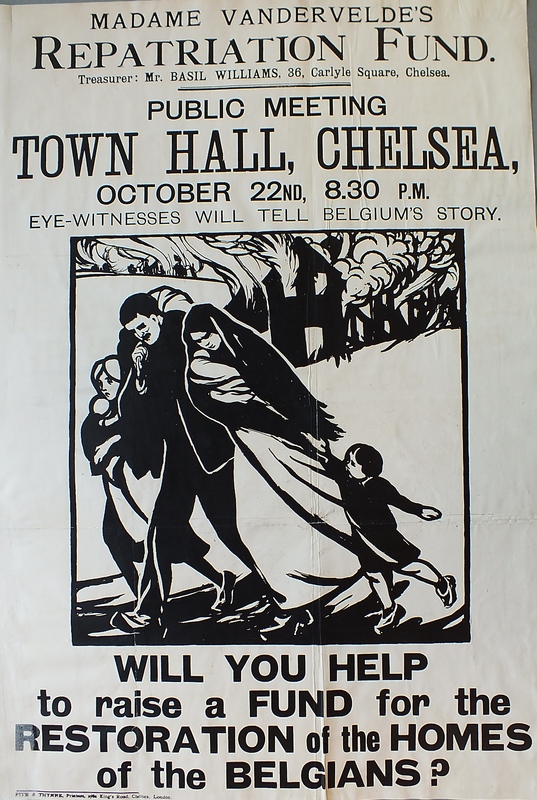 The problem of how to house, feed and clothe these refugees was a significant part of the charitable activities carried out on the Kensington and Chelsea home front.